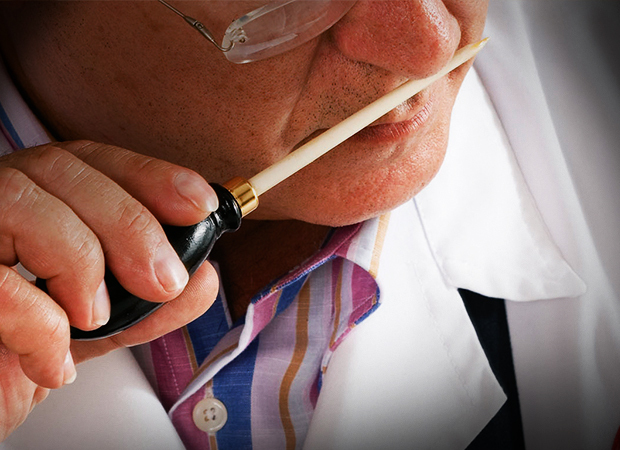 Elaboration of a Spanish Consorcio Serrano Ham requires, above all else, the finest raw material. Said raw material is guaranteed by scrupulous purchasing policy of its associates and the strict compliance with product standards and regulations, as defined in the quality control standards of the Consorcio itself. These standards require raw material with thicker fat in the most critical points and the right amount of fat on the leg as a whole, making it suitable for the level of curing that a Consorcio Jamón Serrano Ham requires. This is accompanied by a piece by piece visual inspection to discard any legs with defects that make them unsuitable for the curing process. Once delivered, the fresh ham (raw material) to be used for producing the Consorcio Serrano Ham is classified by weight and fat content. This is done at the production plants of the member companies, after which they are cooled before being covered in salt. This implies that the ham must not exceed a temperature of 5ºC when they are immersed in the salt. 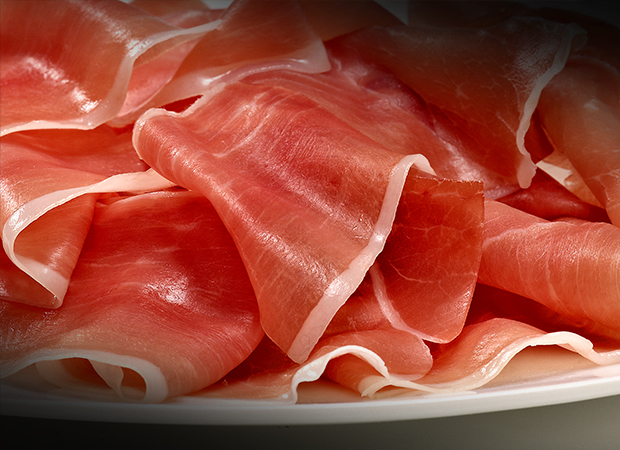 Download the video of “Elaboration of consorcio serrano ham”. Salting and post-salting: in this stage, the fresh ham is covered in sea salt, which aids dehydration and conservation of the Serrano ham pieces. Drying and maturation: in this stage, the temperature is gradually raised and humidity reduced, thus achieving a natural fusion of part of the fat from their protective adipose layer. Hence the fats are evenly distributed throughout the muscle tissue, which develops the sensory characteristics (colour, aroma and taste) synonymous with Spanish Serrano ham. Aging in the cellar: this is the final stage in the curing process of the Serrano ham, where the ham slowly finishes maturing, reaching the point where it becomes the gourmet product that it is. Selection: once the Serrano ham is ready for market, a team of inspectors from the Consorcio del Jamón Serrano Español selects the hams one by one. They consider their shape and organoleptic characteristics, ensuring they meet all the requirements outlined in our quality standards. 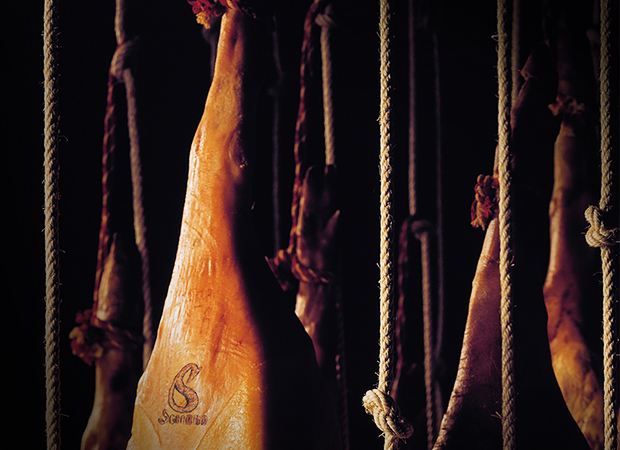 Sealing: all of the Serrano hams that pass our selection process are given the Consorcio Serrano seal of quality. 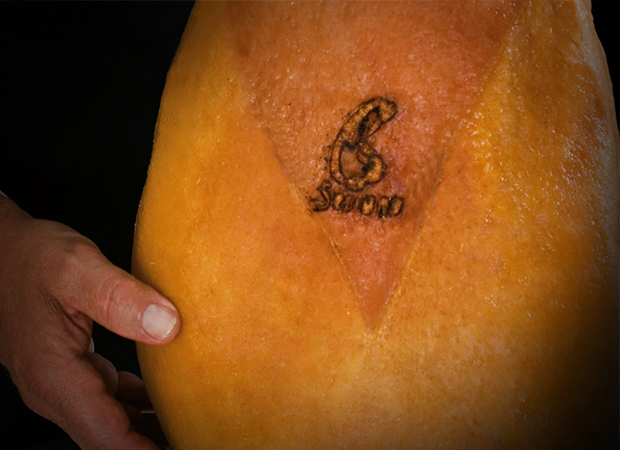 This seal is the best way to promote Serrano ham internationally. At the end of the elaboration cycle, which usually lasts between one year and a year and a half, the resulting product is a Consorcio Serrano Ham with exceptional organoleptic and sensory qualities, unmistakable for its colour, aroma, appearance and texture. Maturing period: With an average maturation period of 12 months, and a minimum of 9 months, from the moment the ham is immersed in the salt. 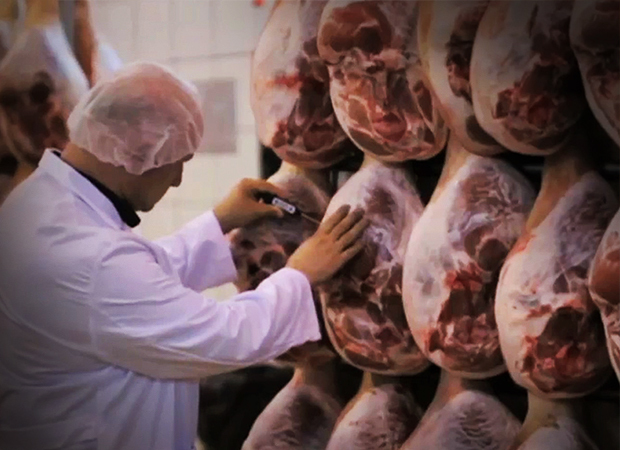 Losses: the hams produced according to the Consorcio’s guidelines will lose over 34% of their humidity, depending on their weight when fresh. This ensures that the ham develops the required properties, such as its texture. 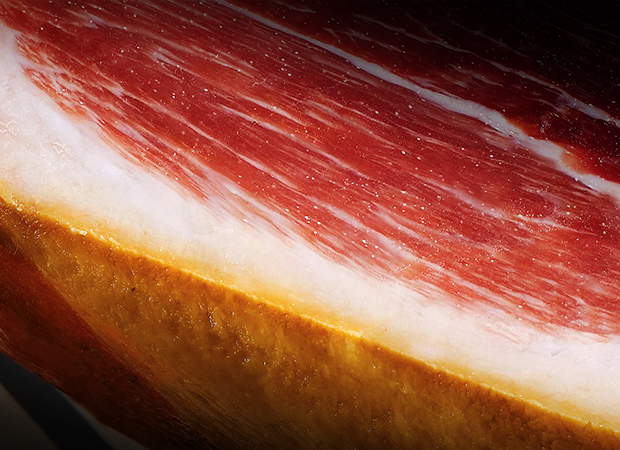 Fat content: This is important for the development of the sensory properties and to ensure the quality Serrano hams are properly cured.